Malaika Arora grooves to her hit number 'Chaiya Chaiya' along with her yoga studio's team Diva Yoga. Fitness enthusiast, mother, and actor Malaika Arora celebrated World Health Day along with her yoga studio’s team Diva Yoga. The actor made the entire team dance to her hit number ‘Chaiyya Chaiyya’. 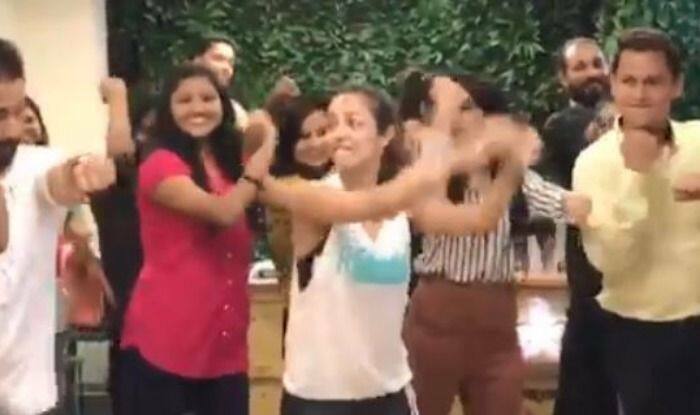 Malaika took her fans down the memory lane and shared a video where she along with her Yoga team grooved to ‘Chaiyya Chaiyya.’ Sharing the video on Instagram, she captioned it, “On World Health Day, I got my entire team at Diva Yoga to dance on ‘Chaiyya Chaiyya’ with me, and just have some fun. Thank you my team,” Malaika wrote along with the video in which she flaunts her “Chaiyya Chaiyya” signature moves, refreshing memories of how she and Shah Rukh Khan danced atop a train in “Dil Se”. Malaika stepped into the business of fitness by opening her yoga studio called Diva Yoga. Fitness is a way of life for the mother of one. “It is like my oxygen! Nothing else is truly yours than your own body, and there is no substitute for a healthy body. I would urge everyone to stay fit and invest at least 30 minutes each for staying fit. It doesn’t take much,” she said in a statement. A few days ago, the actor took to her Instagram to share a picture with her sister Amrita Arora where the two were seen practising yoga together. She captioned the photo as, “#midweekmotivation with my sis @amuaroraofficial …. Yoga not only connects you to your inner self but also it forms a unique bond with your yoga partner! It is a healthy process to build on your relationships. Performing acro yoga with someone you love is not only one of the wonderful experiences but it is also soulful and meditative in its own way! Sisters who practice yoga together #namaslay together! @thedivayoga@sarvesh_shashi @reebokindia”.